Sorry, Meyer Family Vineyards does not ship wine to United States. 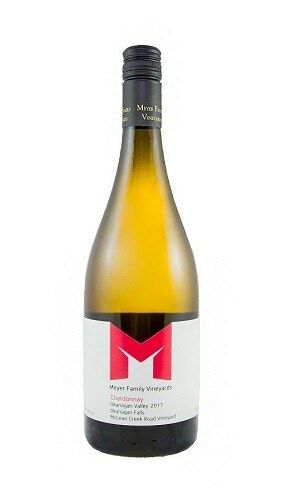 We produced 530 cases of single vineyard Chardonnay from our estate vineyard on "McLean Creek Road" in Okanagan Falls. The wine has bright acidity with peach and herbs on the palate, great structure and a long finish. On the nose fuzzy peaches, lemon and vanilla. Drink this wine now or cellar up to 7 to 10 years.